Reliable and affordable domestic cleaning services in Marylebone W1 performed by professionally trained cleaners from First Class Cleaner. Get a free and non-obligatory quote now! Welcome to our cleaning agency! We deliver cleaning services to Londoners residing several regions of England’s capital. Our company focuses on providing high quality results no matter the condition of the residence or customers’ requirements. 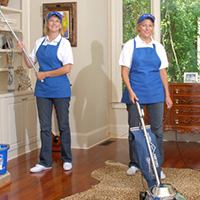 We offer domestic cleaning with a couple of options: one off and regular services. Our service is customer-oriented, meaning we do our best to fulfil your desires and comply with your criteria. We know that housekeeping is not a problem for many of you but that your busy schedule is a determinant. If you have no time to do the chores and you can’t bear dust and dirt in your house, our domestic cleaning service can help you deal with the problem. We can clean every area of your property, starting from the living and sleeping areas and proceeding to one of the most problematic rooms – your bathroom. There is not a single aspect of housekeeping that we can’t do. Your house will be spotless and inviting, waiting for you to come back every evening after a busy day at work. Our company has the best employees who always try to give customers as much information they can to help them choose the service that suits them the most. Our representatives are here to reply to your e-mails and answer your phone calls. They are very friendly and talkative. If you let them, they will assist you from the moment you call till the moment our cleaners leave your property. You should definitely give these fellows a call and see what they can do for you. Our support team works 24/7 for your convenience. Get in touch with them today.